Chasity Sereal sets the stage for a world of wonder from the minute you walk through the door of her Houston studio. From the black-and-white-striped curtains and matching pattern on the reupholstered chairs to the grass wall that Sereal hopes to adorn with (faux) butterflies, you might feel like you’ve tumbled into a fairy tale — and that’s exactly what the fashion designer wants. “I want to fall down that rabbit hole like Alice in Wonderland and fall into that world where all the women are just over-the-top or extravagant, and it’s normal,” Sereal says. 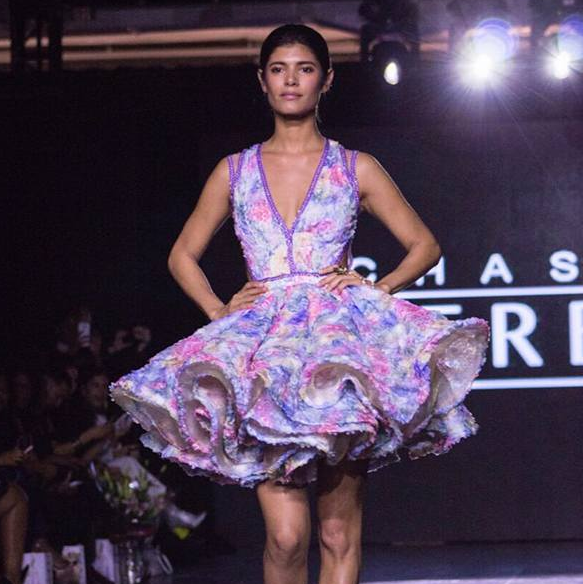 That’s evident in her new collection, "Lady Godiva," which debuted at New York Fashion Week this month. 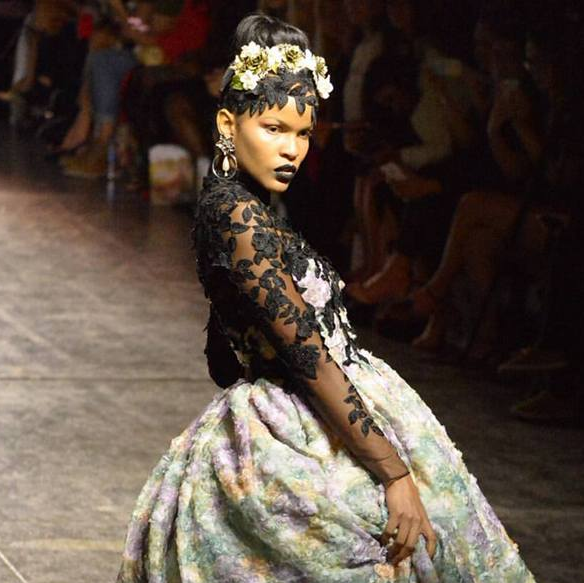 Sereal will bring her "Lady Godiva" collection to Dallas next. She’ll show it on the runway in Fashion X Dallas on September 30. 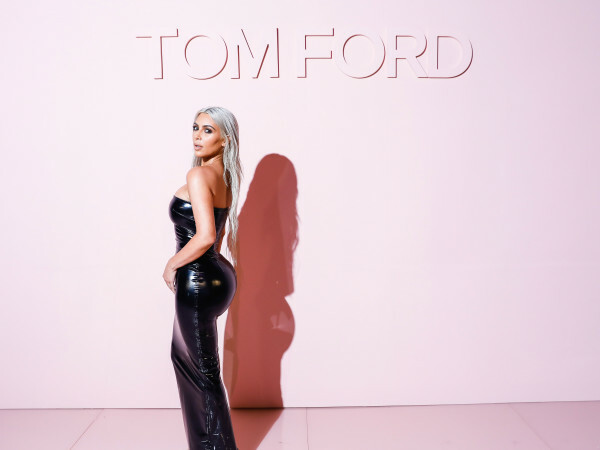 Florals are a major theme, along with techniques that Sereal said she’d never used before, including tambour beading — a method that took her at least 90 hours on one piece — and weaving leather. An example of the latter can be seen in a hand-dyed, green leather dress accented with flowers. Sereal says she cut and sewed the strips of the hide, then dyed the flowers purple and used metal tools to shape them, likening the group of petals to a hydrangea bush. She also incorporated leather into the trim of a crop top and high-waist full skirt bathed in soft pinks, yellows and lilacs. “I wanted to take something that everybody sees as hard and make it especially soft to the eye,” Sereal describes. 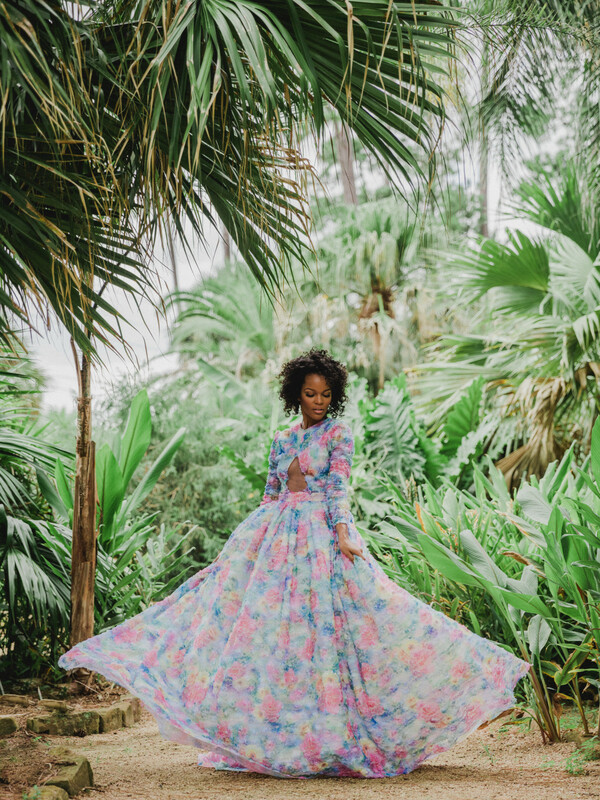 Although the bright colors and whimsy found in her collection might appeal to Wonderland’s main character, Sereal explains that Mother Nature was her muse along with the newest adventurous teenager from Disney’s playbook — Moana. "Lady Godiva" also received exposure — outside of the show. The collection may have fit in around Manhattan, but it also stood out thanks to its deeply personal moniker. “Lady Godiva was my nickname from when I was a baby until I was 6,” Sereal says. “I have old videos of my dad calling me this name, so I wanted to look up who she was.” Sereal credits her father, who passed away when she was 12, for her artistic side. The meaning behind her nickname only strengthened her reason for using it. 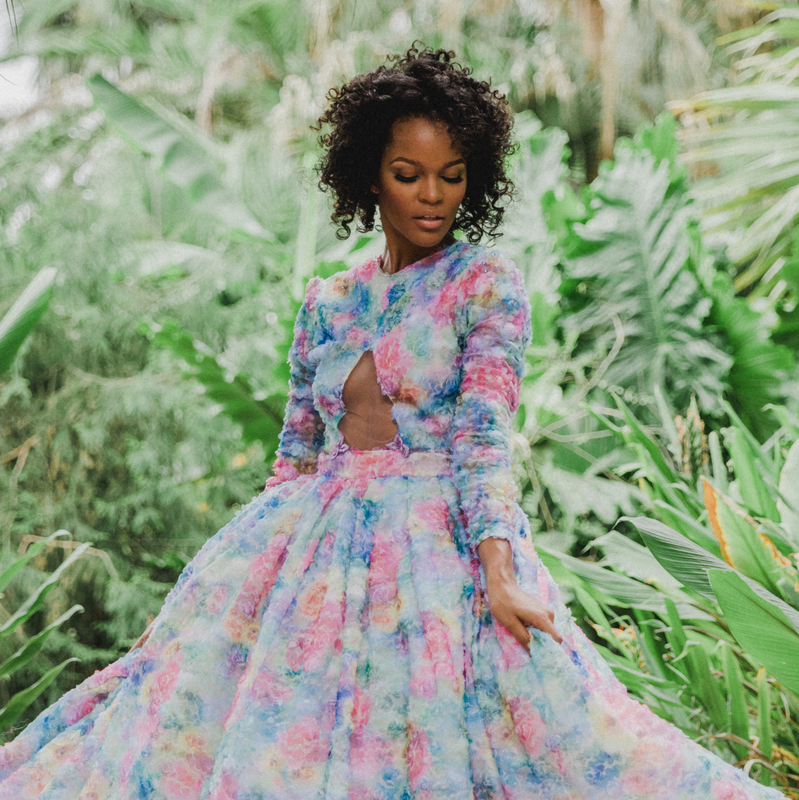 Amid creating a collection that evoked the power of Mother Nature, Sereal has stayed busy creating couture-inspired prom dresses and wedding gowns. 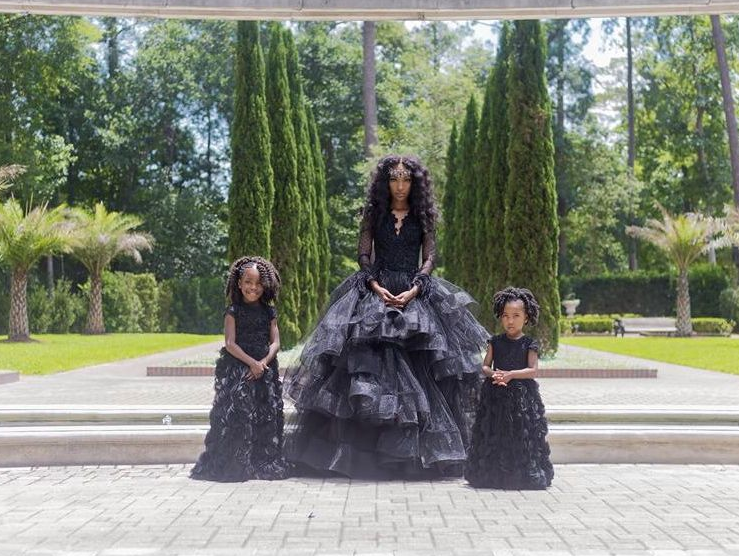 Even though her primary role is designer, the Houston native has also played mentor and counselor to the teenagers and brides-to-be who make up her clientele, helping them prepare for some of the biggest moments of their lives. Sereal is accepting requests for prom 2018 through her website. As for brides, she says the sooner you can get your request in, the better. 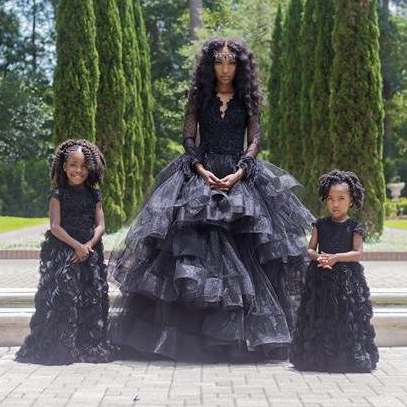 Sereal is a full-time business owner now, but her foray into fashion began in high school, when she sketched dresses for friends and herself. At 20 years old, her curiosity turned into something more concrete when her mother bought her a sewing machine. She taught herself how to sew by watching ‘how-to’ videos on YouTube, and later shadowed a local seamstress. 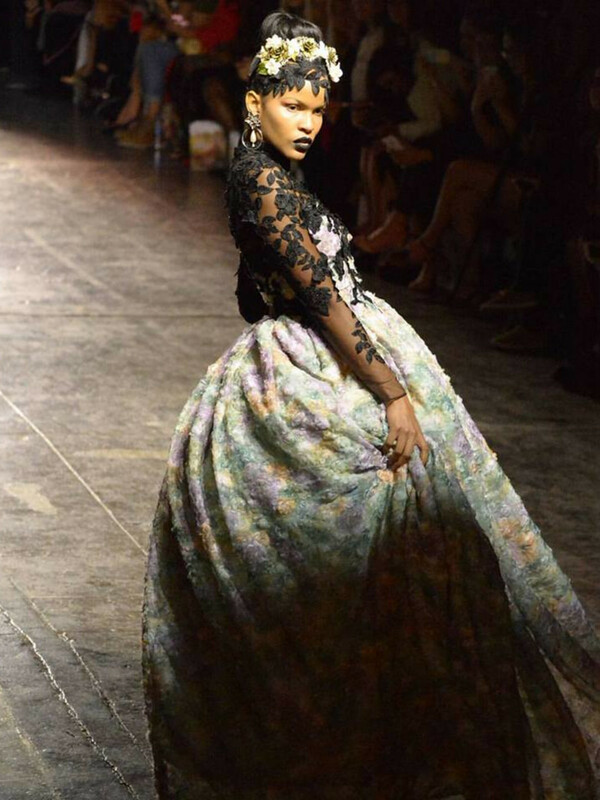 As Sereal refined her skills, she noticed celebrities such as Nikki Minaj and Lady Gaga wearing exaggerated shapes and headpieces. She soon discovered that the pieces were the work of late designer, Alexander McQueen. Now there are two more people inspiring Sereal: daughters Kirstyn and Kendall, who are 8 and 3, respectively. 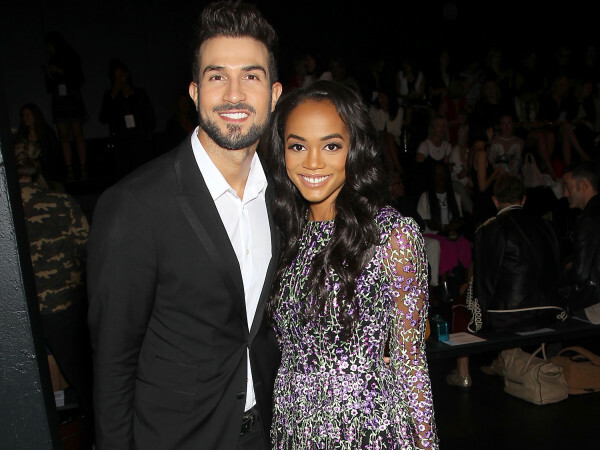 Sereal became pregnant with Kirstyn when she was a teenager but says that pushed her to fight harder for her career. “I want my daughter to be proud. I don’t want my daughter to say, ‘Mom, why didn’t you do what you love? Did you not do it because of me?’ Kirstyn is the reason I started, but both are the reason I keep going,” Sereal says.